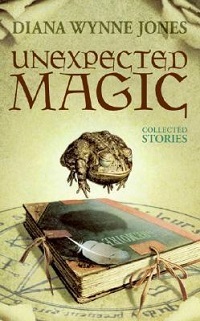 I’ve a feeling that “Dragon Reserve, Home Eight” (another story that utterly deserves to be a whole novel) is my favourite story in Unexpected Magic. But I guess I have a few more stories I haven’t read in it, and now that I’m remembering the creepiness of “The Master”, I think it’s best for me to move on to the next! The cover had the words ‘A MALAYSIAN NOVEL’ above the title, and that’s basically what it reads like – as if someone did a precise academic study on what makes a Malaysian novel, and then just as precisely and academically wrote one. Like paint-by-numbers. The result fell kind of flat to me, and reads as very… academic. You see, I’ve used the word ‘academic’ thrice now, because it’s all I can think of, reading this! I truly felt like I was reading a textbook rather than a novel to enjoy. I didn’t like the characters – but I suppose I didn’t dislike any of them, either. They just don’t evoke any kind of feeling from me, as none of their own feelings seem real. Sometimes they would speak of love, or affection, and yet those feelings are all not shown on page. During the rare moments that a character has an outburst of emotion, it felt like fake melodrama. (In fact, the writing in general reminded me of the kind of stuff we’d write in high school – all proper and sanitised with no real emotion) And speaking of the characters – if their names weren’t mentioned in dialogues I wouldn’t be able to tell the difference between them, as no matter what nationality, race, gender, upbringing or social standing, they all speak with the same voice. Really? I’m surprised she noticed anything at all, since Every Single Character spoke exactly the same way (the kind of ‘standard’ English no one I know uses now) – in fact, there is only one instance in which someone spoke in local patois. And what was Ai Lian complaining about in the first place? Most of my mat salleh friends can understand Malaysian English (as long as I didn’t scatter too many Malay words in my speech), and they don’t even speak Malay or any of the Chinese dialects. So why couldn’t Ai Lian? It’s a mystery… is it THAT big a difference, to be in English-medium schools then? I’m not sure, and to be entirely honest, I don’t think I care. I still can’t tell between any of the characters from the way they speak. And while I’m sure that the lack of conveyed emotion speaks of how the characters are all practicing detached reservation, or something like that, but again – I don’t really care. I expect emotion at least in Ai Lian’s internal monologue, and without it, I can’t bring myself to care about her. Maybe I’m just not the right reader for this book. After all, I admit that what I’m looking for in a book is pleasure, and escape. There are a lot of things I love in a book, but what I appreciate the most are great world-building and characterisation – both of which I find lacking, here. I also generally dislike historicals and mysteries, and this book is a bit of both, so the book doesn’t have much of a pull to me when it comes to story/plot. (//SPOILERS// And the whole marrying your boyfriend’s father bit? ICK. Also I frown at the depiction of the Templetons as White Saviors while the few Asian male characters were pretty awful //SPOILERS//) That didn’t mean that I hate it, though. Despite my complaints, there are bits that I loved – mostly random paragraphs that do add flavour to the story, but made me think if I would have preferred non-fiction (of the personal essay kind) by the author a lot more. I really do like the way Chuah Guat Eng handled the issue of racial and national identity, and how fragile those things were for Malaysians at that time (especially non-Malay Malaysians, I would suppose) – and it made me think about how little have changed on that front. I’m not sure if I can say that I think this is a particularly good book, but the issues that this book brings up, put together with the fact that it’s the first novel in English by a Malaysian novel (or so it says on the back cover), definitely makes it an IMPORTANT book. I’m glad to have read it – the same way I’m glad to have read all the good textbooks I’ve been assigned to in classes. This is one of the titles that didn’t fall under my radar until very recently. But I wanted to read it as soon as I saw the cover! No, I wasn’t really looking at the teens kissing. I wasn’t even looking at the boy wearing a pig’s snout, although that was kinda cute. It was the records. I’m a sucker for books about music. The synopsis compared this book to High Fidelity and Empire Records, which are both among my favourite movies. Not that I read the synopsis before starting on this book. A good thing, too – since it doesn’t remind me of either movie at all, and if I had read the synopsis, I would’ve been disappointed. But.